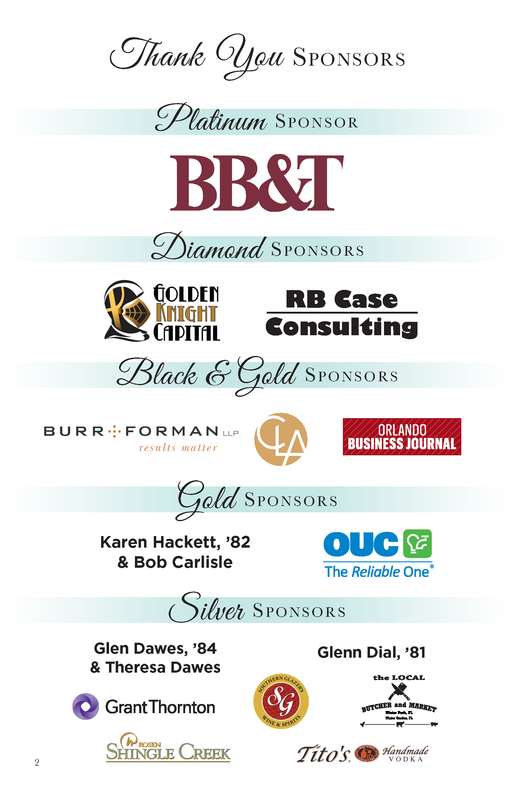 Each year the College of Business honors our most distinguished alumni and partners at a signature gala that attracts more than 850 alumni, faculty, students, corporate partners and friends of UCF. 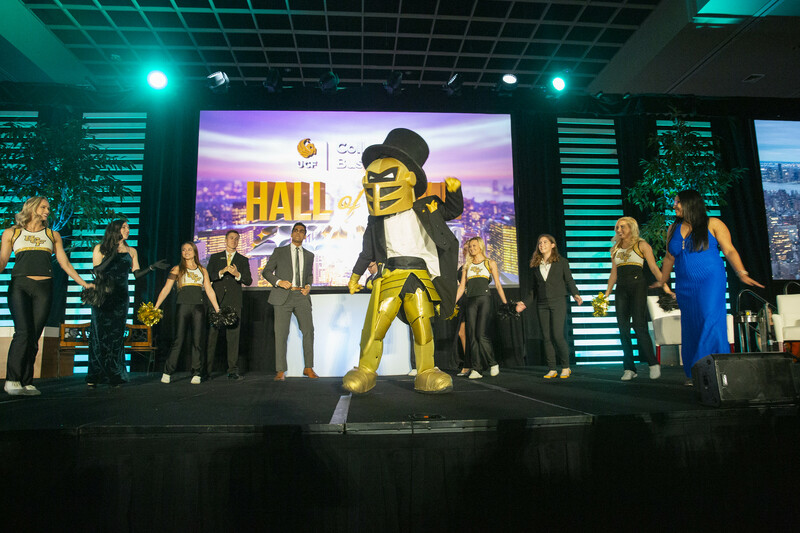 From Hollywood’s heyday and James Bond’s Casino Royale to our most recent Breakfast at Tiffany’s theme, the entertaining event has become THE networking event for UCF alums. It’s a night to celebrate great business Knights past and present. The UCF College of Business Hall of Fame recognizes alumni who have demonstrated exceptional professional success in their field. 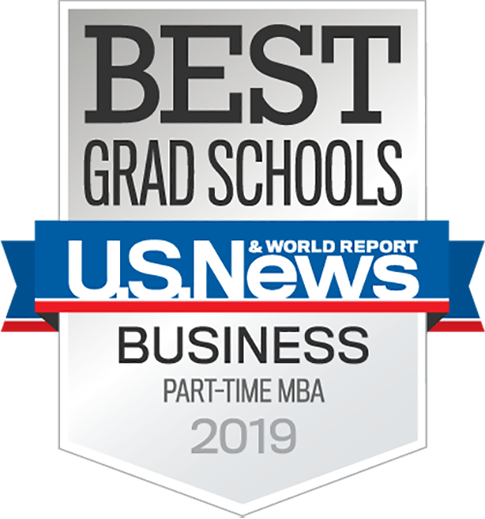 This honor, the highest given to business graduates, is awarded to those who have been in the industry for at least 20 years and have brought recognition to the university through their professional achievements. In addition to the Hall of Fame, we are proud to recognize alumni who have displayed promise and excellence in their careers and corporate partners who help drive the college’s academic offerings and public outreach. The UCF College of Business recognizes UCF alumni from any discipline who exemplify commitment, vision, calculated risk-taking and growth potential. In their professional career, this person demonstrates perseverance in the face of adversity and overcomes obstacles. The UCF College of Business recognizes alumni with more than 10 years experience who have displayed excellence in their career paths. The UCF College of Business recognizes alumni who have displayed promise and excellence early in their career paths and have less than 10 years experience. The UCF College of Business recognizes organizations that have initiated a successful partnership with, or on behalf of, the UCF College of Business, resulting in the achievement of the college’s academic offerings or public outreach. These organizations embody the spirit of collaboration and are recognized for their initiative, leadership and involvement in the betterment of business education.